To really get an idea of what this car can do, you’ll have to check out the videos below. We were amazed at how realistic the animation of McQueen talking is, and all of the different driving sequences he can complete. Despite what we originally thought, this toy is meant for older children or for adults. 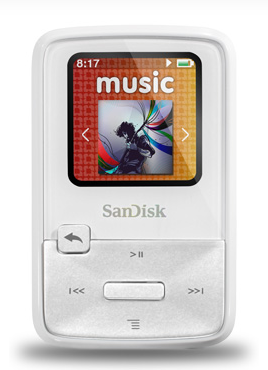 J loves it, but because it’s pricier (we found it retailing for $62 in most places) we make sure we’re around when he plays with it. It is a huge hit with both of the boys, though. 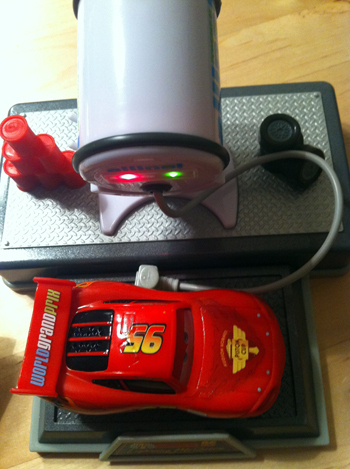 The vehicle charges by “gassing up” at the Allinol tank, which takes 6 AA batteries. 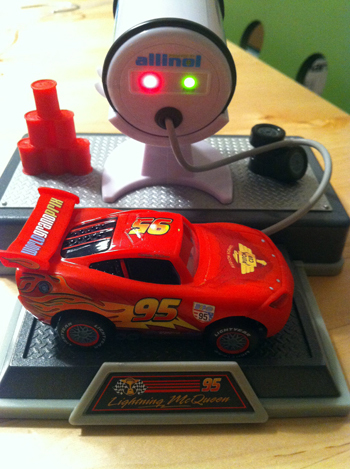 It’s easy to attach & detach, and to tell when McQueen is ready to go, thanks to the red and green lights on the gas tank. 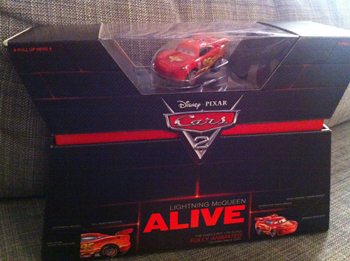 You can find the Lightning McQueen Alive here if you’d like to buy it for someone on your holiday list! 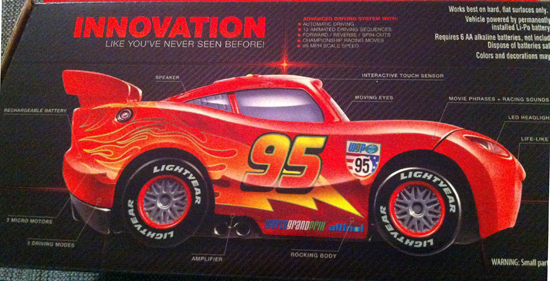 It’ll be sure to stand out to any Cars fan, young or old. Note: We received the Lightning McQueen Alive from Mattel for review. All opinions are honest and our own. We were not compensated monetarily for this post. I know 2 little boys that would love one of these cars! I think they are about as much a Cars fan as anyone could ever be. 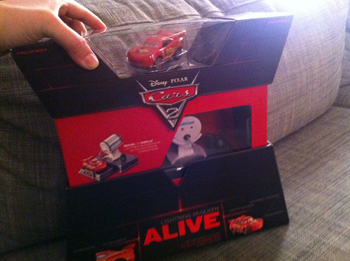 We got them some of the Cars toys last year for Christmas, I loved watching them open and play with them. I think I got as much joy from watching them as they did from playing with them.